Have you ever wanted to share a file on your Mac with your iPad or iPhone? Not sure how? 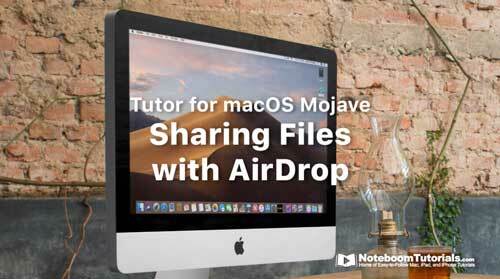 In this lesson from my Tutor for macOS Mojave, I show you how to do just that – share a file from a Mac to an iPhone, and share a file from the iPhone back to the Mac using AirDrop. You can also use AirDrop to share to another Mac or form one iOs device to another! And it’s pretty easy to use, once you have it setup. 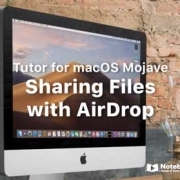 If you aren’t sure about how AirDrop can help you, take a look at this video. Hope it helps! This video is from my upcoming all new tutorial on macOS Mojave. It’s taking me a bit longer to finish, but it is coming. All the videos are done, now it’s writing the verbiage to accompany the lessons. Look for it in February!